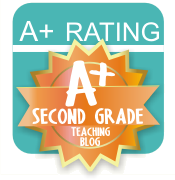 Yesterday I blogged about my Guided Reading binder being my most prized possession. Today I'm here to tell you about my favorite part of my classroom - my library! Apparently reading is my favorite! I arrange my library and rearrange it...and rearrange it...and rearrange it. Well you get the picture. I want it to be the best it can be for my kiddos! I just want them to love reading, that's all! I have posted many pictures about my classroom library. Here is one post. 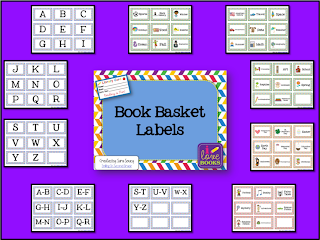 I decided to make new labels for my book bins because only my non-fiction bins had pictures on the labels. I often have students who are very low readers so I've decided to make ones that do have pictures. I was also inspired by a post over at Classroom DIY. You can grab them in either of my stores. It's on sale in my TpT store for tonight only!! Love the idea with the badge holders- so smart! 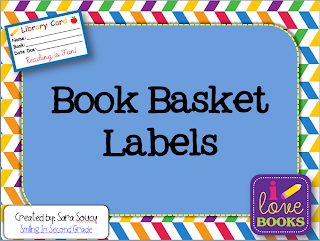 Your labels are cute! I've been using the badges for several years. They are fabulous! Best One Yet! And a Freebie!